i shot this buck 2nd night of the early season (9/2/06) after watching him all summer. shot was 12 yards quartering away. shot him with a 65#@28" longbow that i built with a beman classic with a total weight of 620gr. hope to do as well in north dakota in november. Heck of a buck! Nice! 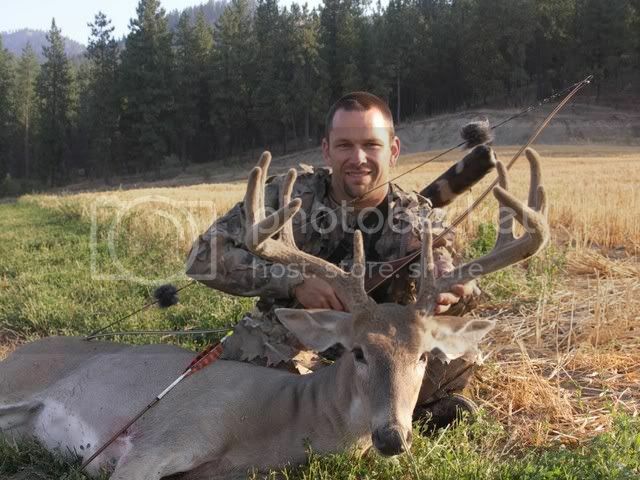 That is one nice looking buck , and to take it with a bow of your own making , I couldnt think of anything sweeter. Congratulations to you , very very well done.